Earlier this week the Florida State Marching Chiefs lost one of their own. Zack Ho Lung, a senior member of the "Royal Flush" aka the sousa section, passed away unexpectedly leaving one of the premier bands in the country in a complete state of shock. With their game against Miami quickly approaching the band wanted to find a way to honor Zack the best they could. They came together and decided they would learn and perform Amazing Grace at their pre-game skull session which is held in their baseball stadium. Across the country bands and fans sent in letters and notes of support for the Marching Chiefs and especially the sousa section. 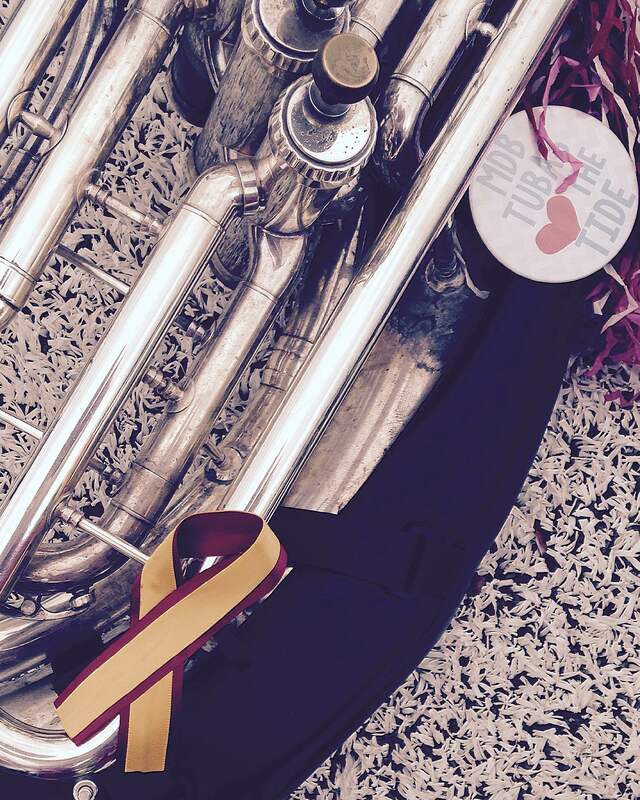 At the University of Alabama the Million Dollar Band sousa section wore these ribbons on their horns through the homecoming parade, pep rally, parade into the stadium, pre-game, halftime, and in the stands in honor of Zack and the section. Below is the moving tribute to Zack from the Marching Chiefs. Please share and help us honor this member of our band family who was taken from us too soon. *** Update *** a GoFundMe Page has been created in order to help the family with medical bills and funeral costs, if you would like to contribute in some way.